Keeps your horse relaxed and easy to manage whilst providing the best nutrition for natural living fitness and strong body defences. It is possibly the most effective supplement in its class and helps the horse manage stress and worry by utilising effective tropical herbal nutrition. It also contains sufficient magnesium and potassium to address correct mineral balance and works quickly within 2-3 days. 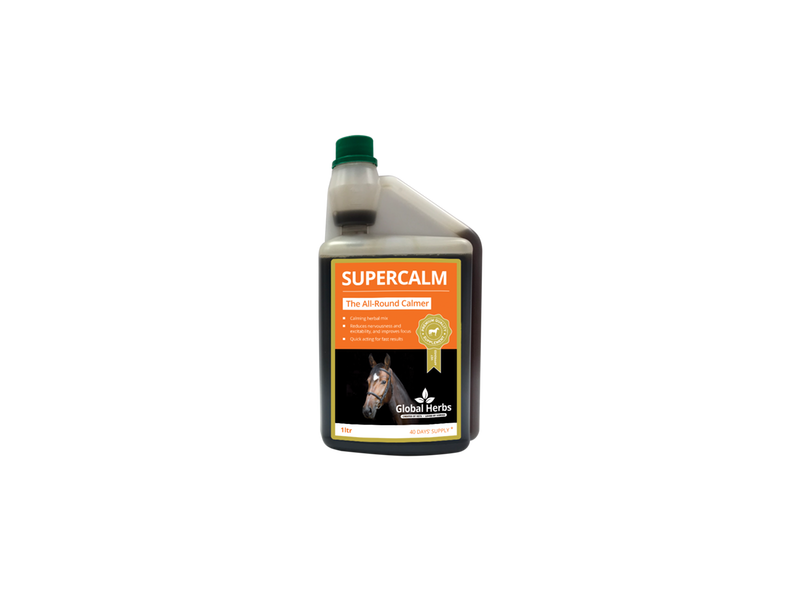 If, despite good advice on management and feeding, your horse remains difficult to manage - daily SuperCalm promotes calm, relaxed attitude for safer handling. 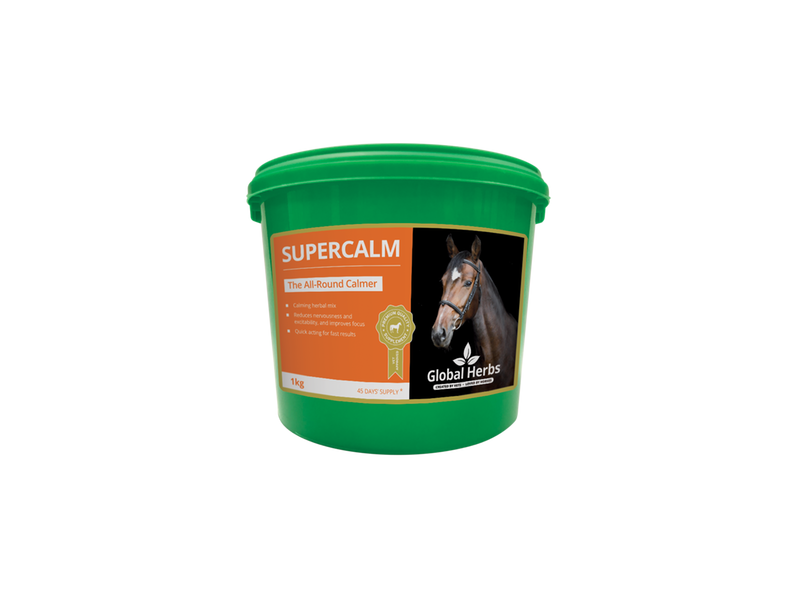 Below are some recent questions we've received regarding Global Herbs SuperCalm for Horses, including answers from our team. Would this product harm your horse after a length of time. Herbal supplements such as these are regarded as very safe. Although there have not been rigorous scientific tests carried out they have been used in practice for a long time without any side effects or adverse reactions when given daily long term.